Though their music was beyond the ordinary, they were never able to release an album during their short lifetime. 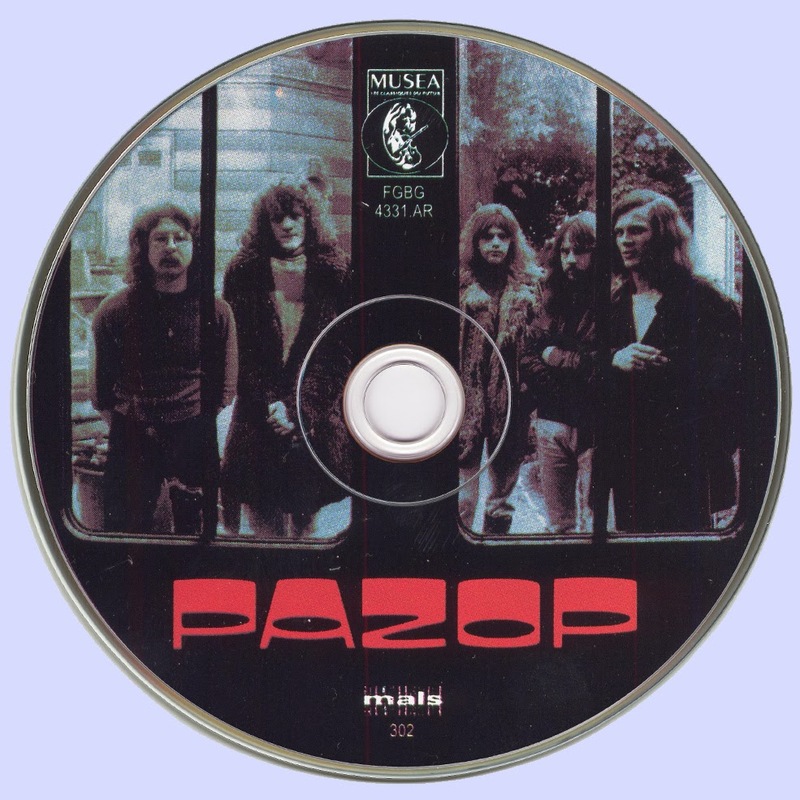 Pazop was formed at the end of 1971 by vocalist and flautist Dirk Bogaert, keyboardist Frank Wuyts, violinist Kuba Szczepansky, bassist Patrick Cogneaux, and drummer Jacky Mauer. Wuyts and Szczepanski had just left progressive rock band Wallace Collection, Wuyts had previously been involved with Bogaert, Cogneaux, and Mauer had been in another short-lived prog band, Waterloo. Cogneaux had also been a member of Arkham, a group that included future members of Magma and Univers Zero, while Sczcepansky, a classically trained musician born in Poland, played in the Brussels Opera Philharmonic Orchestra for a couple years before turning to rock with Wallace Collection in 1970. Even before they had decided on a name, the new group approached Wallace Collection's label, EMI, and though the record company did not sign the group, they offered them a two-day studio session to record a better demo. The four-song demo was in a style far more commercial than their normal sound, which had influences as diverse as Miles Davis, 20th century classical music, progressive rock groups like King Crimson and Caravan, and Frank Zappa. With the new demo Szczepanski and Mauer headed to Paris to hit up every record label there for a contract, but they had no success. They also finally came up with a name for themselves, Pas Op, Flemish for "Warning" but the spelling was soon changed to Pazop. They finally got a contract with producer Luigi Oglival in March of 1972, who was able to get them signed to CBS and the Barclay label. 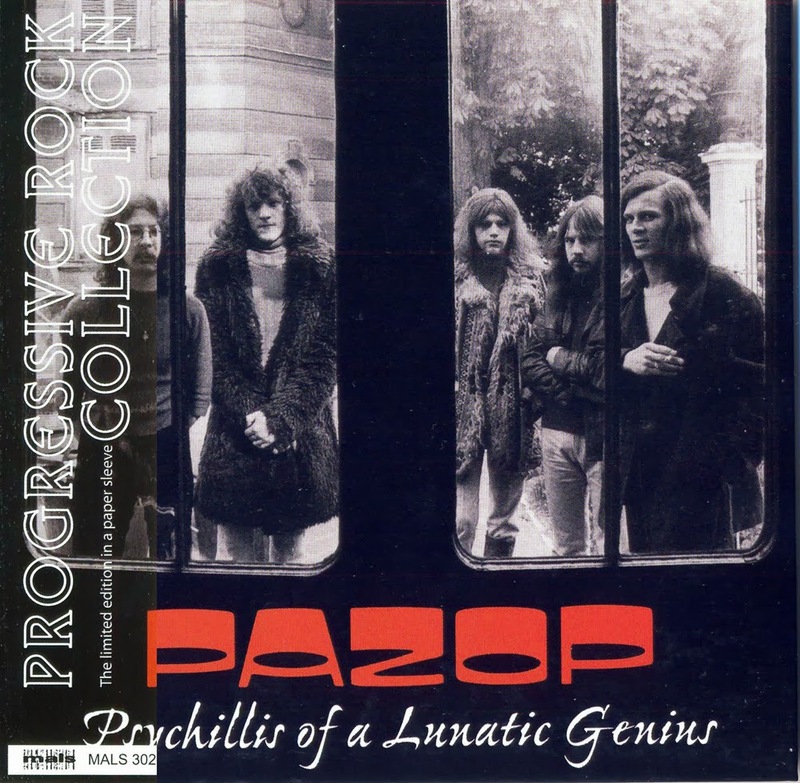 The band went into the Herouville Studio in France in July 1972 to record the album Psychillis of a Lunatic Genius. The group also played several gigs at the Gibus-Club in Paris, which brought them some excellent press, as well as other shows in France and Belgium. Meanwhile, near the end of that year, Barclay rejected their album as being too non-commercial, and chose to release one of the earlier demos as a single instead, much to the group's chagrin. Oglival, who realized he wouldn't recoup the studio costs, dropped the band as well, reneging on his contract and even keeping the master tapes. In 1973, the group was hired by pop musician Sylvain Van Holme to provide modern rock adaptations of various classical pieces by Tchaikovsky, Dvorák, Mozart and Verdi. Van Holme decided to co-produce a new record by Pazop, and booked them at the Start Studio in Belgium in the late summer of 1973. Van Holme contacted several record companies, but again the album was not commercial enough. The group continued touring Belgium and France until July of 1974 before calling it quits. Their inability to get enough gigs and to release either of their LPs had left them financially and emotionally strapped, and they split up for more successful groups. Their master tapes sat in a desk drawer for years. Pazop's two albums, minus the four commercial demos, were finally released by Musea.